After more than 12-months of planning, some very deep soul searching and arriving at one of the most important decisions of our lives, we packed up our entire life in Singapore, sold our apartment and relocated to a location literally on the other side of the world... beautiful Tampa, Florida in the United States. As part of the planning process, we had already traveled over on house hunting and school finding trips, so prior to arriving we had already signed a contract to buy our new home in 'The Eagles' gated golfing community in Odessa. It was a very wet and late Xmas eve in Singapore when we headed off to Changi airport for the final time. We were then in-transit for the next 37 hours before landing at Tampa International Airport early evening on Xmas day (12-hour time zone difference). I have many stories to tell - so many adventures already that go along with a move of this magnitude. So rather than try and fit it all into one post, I will make the effort to start writing articles more regularly to share our experiences... similar to when we first moved to Singapore all those years ago. For now, let me just say that this is one very beautiful part of the world. 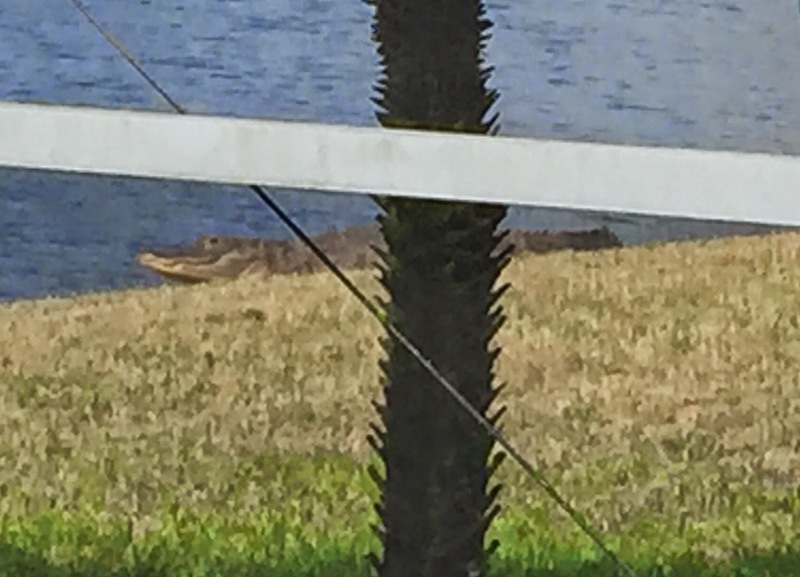 The weather is wonderful, there is more space than I can ever remember, abundant wildlife (including alligators in the lake right in our back yard). Life in general is just so relaxing here - outside of the very busy career that brought us to the US, of course! Oh - and welcome back to the Aussie Pete blog... now rebranded from 'Like That Also Can' to 'Way Down Under in Florida'.